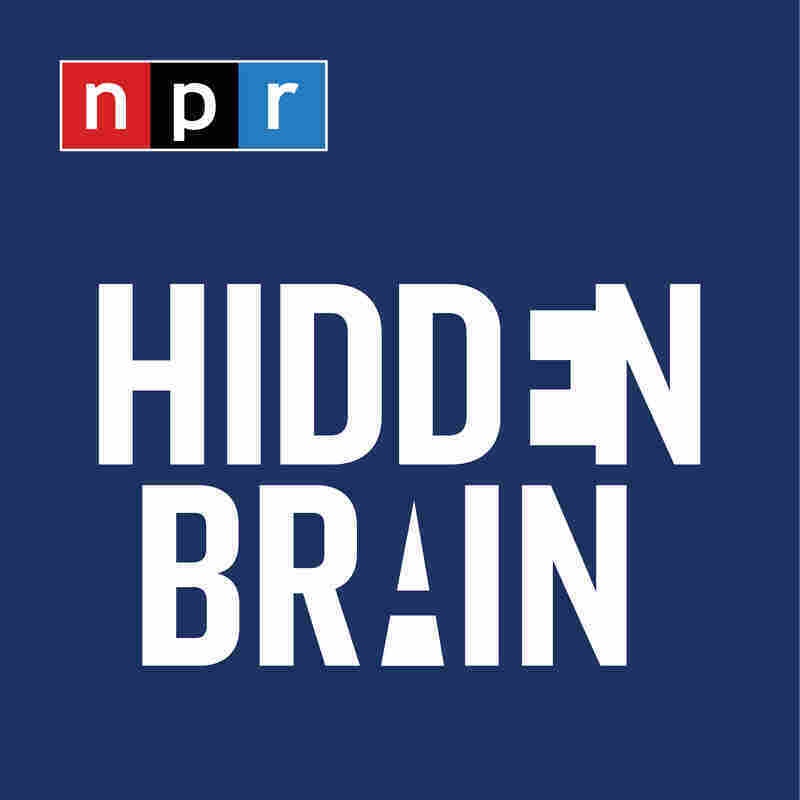 Tribes and Traitors | Hidden Brain This week on Hidden Brain, the stories of two men who showed empathy for the other side and found themselves labeled "enemy" by their own people. This is HIDDEN BRAIN. I'm Shankar Vedantam. Around the world, parents, schools and religious leaders talk about the importance of empathy. We tell our children that seeing things from another child's point of view is a sign of wisdom. Today, we bring you two stories of empathy. What makes these stories unusual is that this is not the ordinary kind of empathy we display toward friends. This empathy is much harder. It's about putting yourself in the shoes of your enemies. AVNER GVARYAHU: I think that the two big elements that are lacking from the discourse on both sides is, one, a massive lack of hope and, two, this unbelievable lack of empathy. VEDANTAM: There's a reason we don't see a lot of this kind of empathy in the world. It's hard, sure. But also one of the most enduring psychological drives in human nature is to be part of a tribe. When someone in our tribe starts seeing things from the point of view of another tribe, we have a name for people like that, traitors. MOHAMMED DAJANI: What was most helpful for me, most painful was nobody stood by me. VEDANTAM: Hard though it is, this kind of empathy accomplishes remarkable things. For one thing, when an enemy sees things from your point of view, she stops being your enemy. This kind of empathy can melt hearts, bring down walls. And that's what makes it dangerous. AARON DAVIDMAN: And I'm staring at this wall out the window of the bus at the Kalandia checkpoint, and 6 million ghosts chase me as we drive through. And I wonder if they will ever rest. GVARYAHU: So my name is Avner Gvaryahu. I'm 31 actually today. VEDANTAM: Growing up, Avner Gvaryahu was a model Israeli patriot. GVARYAHU: I grew up in a religious family, what we call religious nationalist family. And I went to a religious high school, what we call in Hebrew reyeshiva (ph). I joined the Army when I was 19 after doing a year of community service, and I served for three years as a paratrooper in the special ops unit. VEDANTAM: Being a soldier came naturally to Avner. GVARYAHU: In my society, in my community and in my family as well, you know, this was something that was discussed often. I'm named after a soldier who was killed in 1973 in the Yom Kippur War. My dad himself was a paratrooper. My older brother was a combat soldier. The people around me, my mentors, my teachers, my counselors and my youth movement were all, of course, in the military. So I was really waiting for my chance to go and protect my country and serve. That was sort of something that I always knew I would do, and I wanted to be, you know, the best I could be at that. VEDANTAM: But early in his military service, Avner started to see things that challenged his worldview. He was often asked to pull a maneuver known as a straw widow. This involved entering a Palestinian home to use the windows on the upper floors to cover other Israeli soldiers carrying out operations on the street. GVARYAHU: So I found myself in numerous cases throughout my service invading people's homes in the middle of the night most of the time after we knew that the people inside these homes were innocent because you do not want to enter someone's house if you know that he's involved in some terrorist organization. So what we actually did is you find a house on a map, you choose the house because it's situated in the right place, because it's elevated enough, because it has the right sized windows, and you enter this house in the middle of the night. Now this house from that moment on belongs to the soldiers, right? If the family wants to use the bathroom or the kitchen, in many cases, they need permission from the soldiers. Of course, the family can't leave their house. And this dynamic between soldiers and Palestinians was something that I was part of for many, many nights. And I think that that's where I really learned for the first time, first of all a little bit about the Palestinians because I was never in a Palestinian home before I started my service. I had no real contact with Palestinians before I started my service. But also I learned about the power dynamic that I was part of. Just the fact that I was born sort of in the right side of the green line, just the fact that I was born to an Israeli Jewish family gave me the power to walk in with a helmet, with a gun, with my uniform, and I was in control of an entire family. VEDANTAM: One night in particular stands out in his memory. GVARYAHU: We were supposed to take over a house, and we were walking through sort of the open space around the house. We made maybe too much noise, or maybe we stepped on a branch, and we started hearing screaming from inside the Palestinian home. So me and the officer who were leading our soldiers went up to the window where we hear the screams because, you know, we could be detected, and that's not something we want. And we break the glass of this house, and we peer in with our rifles. We had flashlights on the barrels. And we see on the floor of this house an older lady, an elderly lady, helpless. And she was on the floor. I don't know what exactly happened. Maybe she heard us, and she was petrified, and she just fell off her bed. I remember looking to the other side of the room, and I could see at the end of the corridor some people or voices, and it was her family who were petrified to come and help her. And I remember standing there and telling myself, this is not what I thought I would be doing. This is definitely not promoting the security of my country or the security of my family. And I started thinking, what about the family of this old lady? I mean, what do they think about me now? VEDANTAM: Moments like this are what prompted Avner to start working with an organization called Breaking the Silence, a group of military veterans who want to talk openly about what they've learned. From Avner's perspective, there is nothing unpatriotic about Israeli veterans telling their stories, talking about moments they struggle with or Palestinian families they got to know. But others see it differently. Some see it as treason. In one recent video, a group targeting Avner shows a Palestinian attacking an Israeli with a knife. VEDANTAM: The video then accuses four human rights activists, including Avner, of protecting the terrorist. GVARYAHU: They called all four of us foreign agents or the - or what they called it were shtulim, which basically mean implanted, meaning my opinions, my thoughts and the actions of myself and my friends are not things we actually think on own, but we're actually working for a foreign government. To us it sounds as if they're blaming us for being spies. VEDANTAM: As I was listening to Avner, I couldn't stop thinking about a study I read many years ago. Psychologist Lee Ross ran an experiment at Stanford University. He brought in students from a pro-Israeli group and a pro-Arab group and had them watch television news clips about the Arab-Israeli conflict. He found the pro-Israeli students saw lots of anti-Israel references in the news clips, whereas the pro-Arab students saw lots of anti-Arab references while looking at the very same news clips. When Arabs and Israelis think about their conflict, each group desperately wants observers to know that they have been wronged. To acknowledge the pain on the other side is to somehow limit this claim. That's why two groups can look at the same reality and see completely different things. I told Avner his story reminded me of the study. As you're telling me this story, I'm realizing that one of the psychological implications of your work is that, really, when you try and empathize with what the other side is going through, there is something about that action that drives your friends and comrades really angry, that the idea that one of you would empathize with the other side feels like betrayal. GVARYAHU: Yeah, I think that you're touching a point which is true and I think is extremely difficult. You know, silence is not an Israeli disease, is not an Israeli epidemic. There is no society, there is no community that does not live with this disease of silence. A big part of what Breaking the Silence is saying is, you know, the fact that we are talking about our actions, of course, it doesn't mean there's no responsibility on the Palestinian side. But, you know, when I do think about what can create change and who has the power for change, I can't ignore the fact that in this specific point, we are the ones with the power. VEDANTAM: When we come back, a Palestinian professor tries to get his students to empathize with Israelis. DAJANI: If you learn about the suffering of the other, would that help in your attitude for reconciliation? VEDANTAM: The psychologists Michael Wohl and Nyla Branscombe once asked Jewish volunteers to think about the suffering of Palestinians. The psychologists reminded some of the volunteers about the Holocaust. Compared to others, Jews reminded of their own group suffering showed less compassion toward Palestinian suffering. The same thing happens with other groups. Americans reminded of traumas, even distant traumas like the Pearl Harbor attack, show less empathy for victims of torture carried out by American service members. Trauma makes us turn inward. It creates justifications for the harm we cause other groups. It makes it harder to feel empathy for our enemies. In 1948, hundreds of thousands of Palestinians lost their homes during the creation of the state of Israel. Palestinians have a word to describe this trauma. They call it the Nakba, the catastrophe. Just as traumatized Israelis don't want to think about the Nakba, traumatized Palestinians don't want to think about the Holocaust. Mohammed Dajani used to be one of those Palestinians who struggled to empathize with Israelis. He considered himself a nationalist. In fact, as a result of his political work for Palestinian statehood, Mohammed says he was forced into exile from his native Jerusalem. He was allowed to return in 1993 because his father was very sick. And then just like Avner, something happened to Mohammed that shook his beliefs about his enemy. DAJANI: In the beginning, it was very difficult for me to adjust. But my father, who had cancer, started taking me to Ein Kerem Hospital, where he used to have chemotherapy, and it made me observe my enemy - the Israelis, the doctors, the nurses, the staff. I noticed that their attitude to my father was not an attitude of an enemy towards enemy but rather a doctor who is patient. VEDANTAM: Another time, Mohammed's mother suffered a heart attack. He was in a car with her. His brother was driving. DAJANI: We were coming to the Ben Gurion Airport exit, and my brother decided to take that exit. VEDANTAM: Mohammed told his brother he was being foolish. Israeli soldiers would stop them, harass them. Mohammed's brother said they had no choice. He pulled up at a security gate. DAJANI: When we came to the gates of the airport, the - and my brother told them that we have a sick woman with us and they saw her, they vacated one of the gates there and immediately called for ambulance. Then when the doctors came, they found out that they could not move her, so they tried to resuscitate her there. So it became like an operation room. VEDANTAM: These experiences changed Mohammed. He says he stopped thinking of the conflict in terms of Palestinians versus Israelis and started thinking in terms of the Palestinians and Israelis who were for peace and the Palestinians and Israelis who were against peace. And for the very first time, he says, he tried to see the Palestinian-Israeli conflict from the Israeli point of view. He began teaching political science at Al-Quds University in Jerusalem, and he brought his new understanding with him. But his students couldn't relate. They hadn't had encounters with kind Israeli soldiers and carrying Jewish doctors. DAJANI: In order to come to the university, they used to go through many checkpoints. So they would leave something like 3 in the morning to get to the university at 9. VEDANTAM: Mohammed tried to get his students to see beyond the soldiers they met at checkpoints every day. The university set up an Israeli studies program and an American studies program, and he started to broach a topic most Palestinians had never encountered at school, the Holocaust. But, Mohammed's students, consumed as they were with their own trauma, could not or would not listen. One of his students was a young woman named Hanan (ph). DAJANI: And she was in Israeli prisons for nine years. So to her, she looked at what happened with Jews in Auschwitz and Krakow and different Birkenau and different concentration camps as if transmitting that to her own experience being a prisoner in Israeli jails and being discriminated against as a woman. VEDANTAM: Mohammed told Hanan she had constructed a prison inside her own mind, a prison that kept her from seeing the world from the point of view of her enemy. When nothing worked with the students, Mohammed decided he would take Hanan and a couple dozen other students on a field trip to Europe. They would visit Nazi concentration camps and learn firsthand about the trauma at the heart of the Israeli Jewish experience. DAJANI: It was a scientific project to study about empathy, about if you learn about the suffering of the other, would that help more in your attitude for reconciliation? We decided to take these 30 Palestinian students to Auschwitz and Krakow in Poland. VEDANTAM: Almost immediately, there was trouble. DAJANI: So I received an email from the president of the university. He said that, I heard rumors that you are taking students to Auschwitz, and I would like you to make it very clear to them that the university has nothing to do with this trip. Another student came to me and said, you should cancel this trip, and that if you would go, once you come back, you might be facing a very big threat. VEDANTAM: Mohammed did not waver. He was an educator. And like Avner, he believed he was being a patriot. Empathy, he had come to believe, was the only way to understanding and to peace. When they got to Auschwitz, Mohammed and Hanan stopped at the entrance to the camp. DAJANI: Hanan, when she saw the - at the entrance, there was like a placard saying (foreign language spoken). So work sets you free. So she was very surprised with that slogan on - at the gate of the Auschwitz camp and asked me about it, and I said, why don't you look it up? VEDANTAM: Hanan (ph) learned the meaning of the cynical phrase. The Jewish prisoners who went to this camp were not set free by work. They were worked to death or killed. DAJANI: There was this big room, which had toilets. And we were told that every morning, more than 2,000 people gather in front of the room, and then they make them go through there to use it. And they are given 10 seconds to use it, and then they have to leave. And so it was such a humiliation for the individual. There were things they never heard of in terms of how human beings were humiliated and broken. VEDANTAM: As they walked through the camp, Mohammed noticed that Hanan and the other students were no longer seeing the Holocaust through the lens of their own suffering. They were actually empathizing with Jews, their enemies. DAJANI: It was very emotional to them. One of the - and some of the girls even cried. One of the student was telling me, I thought that Hitler gathered the Jews in these concentration camps to send them to Palestine, to have them shipped to Palestine. So to them and in their total misconception about what is the Holocaust, what is the concentration camp, what did it mean, how life was there, and so it was an eye-opener for them. VEDANTAM: But back at home, Mohammed's colleagues at the university did not see the trip as an invaluable educational experience. DAJANI: The last day in Auschwitz, my secretary wrote to me an email saying that students have come and ransacked your office, and they are making demonstrations against you on campus and that they came and left you a letter of threatening your life, that you should not come back to the university, and that if you come back, they are going to kill you. And the letter is with me. And she said that they were extremely - there is a lot of enmity and an uproar on campus regarding the trip. So anyway, that prepared me that the reception will not be easy going back to the university. And once I went there, I noticed that there was a lot of enmity. People were looking at me as if I have - I'm a traitor. I've betrayed them. At the same time, nine student organization issued a statement on campus saying that this is normalization, and normalization equals treason. VEDANTAM: Mohammed was forced to resign from his job. One night, someone set fire to his car. He knew his life was in danger. He packed his bags and left Jerusalem again, this time exiled by his fellow Palestinians. I asked him how it felt to be called a traitor. DAJANI: What was most hurtful for me, most painful was nobody stood by me. That was really what was most painful for me. Also the fact that I have dedicated all my life for the Palestinian cause, and suddenly, I'm a traitor for that cause. So that also was painful. VEDANTAM: When I talked to Mohammed, he was living in Washington. Just like Avner, who is also in the United States, Mohammed hopes to go home someday. VEDANTAM: I want to leave you with one last note. As I was learning the stories of Avner Gvaryahu and Mohammed Dajani, I went to see a powerful new play called "Wrestling Jerusalem." Commissioned by Ari Rath and produced by Mosaic Theater in Washington, D.C., "Wrestling Jerusalem" is a one-man show that will travel to many parts of the country. Like Avner and Mohammed's real-life stories, the play is about the intertwined traumas of the Nakba and the Holocaust and the effects those traumas have on the ability of Israelis and Palestinians to empathize with one another. Playwright and performer Aaron Davidman describes his travels in Israel and the occupied territories. You'll hear him speak as himself and in the voices of Palestinians and an Israeli man named Nadav (ph). DAVIDMAN: I'm looking for the number 18 bus in East Jerusalem somewhere up the street from Damascus gate, the Arab entrance to the old city. It's only a few blocks from the Jewish part of Jerusalem, but it feels like another world. The smell of the food vendors, the language in the air, gestures of the people in the street, all so different. I can't find the bus stop, and I have a nervous feeling of being on the other side. I've been to Israel many times. I've never been to Ramallah. When I finally find the small bus, I pay six shekels, and I get on. I sit in the back. I'm sure I'm the only Jewish person on the bus, but I feel invisible. No one seems to pay any attention to me. The atmosphere is quiet, tired. As soon as we get on the highway, the bus is stopped by the Israeli police. (Foreign language spoken). I clutch my passport. I don't want to pass it forward. I just sit there. The officer doesn't see me. Now my invisibility feels conspicuous. There's a blank stare in the eyes of the middle-aged Palestinian men as they pass their IDs forward. Do you speak English? A woman turns to me. Did they ask to see your ID? No, you see how they humiliate us. Ten minutes later, we approach the Kalandia checkpoint. There's a long line of cars and people on foot waiting to cross through. Manned by the Israeli army, Kalandia is one of the few places to cross from Israel into the West Bank and from the West Bank into Israel. Hundreds of kilometers of electric fences, trenches, barbed wire, and 8-meter high concrete walls run north and south of this crossing, creating a de facto border. B'Tselem, the Israeli human rights organization, calls this structure the separation barrier. The Israelis call it the security fence. The Palestinians call it the apartheid wall. Whatever you want to call it, it's massive and intimidating and haunting. The Kalandia crossing is a rocky no man's land with two giant ominous watchtowers surrounded by fences, laced with barbed wire. Concentration camps, all I can think of is concentration camps, concentration camps? A lifetime of Holocaust imagery comes lurching forward from the back of my mind. No, don't think of concentration camps. There's no moral equivalency here. It's not the same. It's not the same. Guard towers, guard dogs, barbed wire, soldiers, machine guns, refugees, suitcases, now the Jews are the guards, and I'm on the train going into the camps. And I remember Nadav and Aron (ph). The craziest thing, when I got here, I did not yet know my gillie (ph) was on this bus. I did not know what I heard on the radio of the Pigua (ph), the bombing. And they come right here. It's my neighborhood. In Haifa, we don't expect such things. And I stood here in the street, and I could smell burned flesh in the air. And at that moment, I had the strangest feeling. I thought, this must be the smell that people smelled coming off the trains in Auschwitz, the smell of the crematoriums. My parents were the only survivors of the family to make it out alive. Every other member of the family was killed, every single one - uncles, aunts, everyone completely destroyed. And here, 60 years later, my gillie burn alive. It's such a brutal murder. He was 13 years old. He was in the peace camp for Palestinian and Israeli children just two weeks before. Look, I don't hate the Arabs, but build the wall, absolutely build the wall. Let them live over there, and we live over here. I'm finished. And I'm staring at this wall out the window of the bus at the Kalandia checkpoint, and 6 million ghosts chase me as we drive through. And I wonder if they will ever rest. VEDANTAM: Aaron Davidman, performing an excerpt from his play, "Wrestling Jerusalem." VEDANTAM: HIDDEN BRAIN is produced by Kara McGuirk-Alison, Maggie Penman and Max Nesterak. Special thanks this week to Ari Rath at Mosaic Theater and Aaron Davidman for sharing an excerpt from their play. You can follow us on Facebook, Twitter and Instagram. You can listen to my stories on your local public radio station. If you like this episode, please consider giving us a review on iTunes. It will help other people find the podcast. I'm Shankar Vedantam, and this is NPR.